Landon Voye stands on top of the playground slide, sweat beading on his forehead, knees slightly bent for a quick get-away, head turning every direction to watch for the tag. It’s recess at Renaissance School, and this third-grader plays hard. He dashes down the slide as a classmate reaches for him — another successful dodge in a serious playground game of tag. The whistle blows, and it’s time to wind down and return to the classroom. “You like that?” he is asked. When Landon’s mom, Kyla Wilcox-Voye, picked him up from first grade two years ago, she encountered quite a different child. His legs were scraped, his clothes were dirty and he certainly didn’t have a smile. That evening, Kyla learned that her child had been pushed around the playground during recess. Kids were making fun of the way he dressed. Finally, she had a clue about why this first-grader’s attitude toward school declined so rapidly from loving to learn to hating the thought of another school day. Landon had weathered Kindergarten all right, but first and second grades in the public school he attended were “a disaster,” says his mom. There was more to Landon’s struggles than bullying and scraped knees. Kyla knew she needed an alternative. Her mother had driven past Renaissance School, part of the LUMIN Schools network, and the “Free Tuition for 4K-8th” sign grabbed her attention. She told her daughter, and Kyla made an appointment to visit Renaissance. 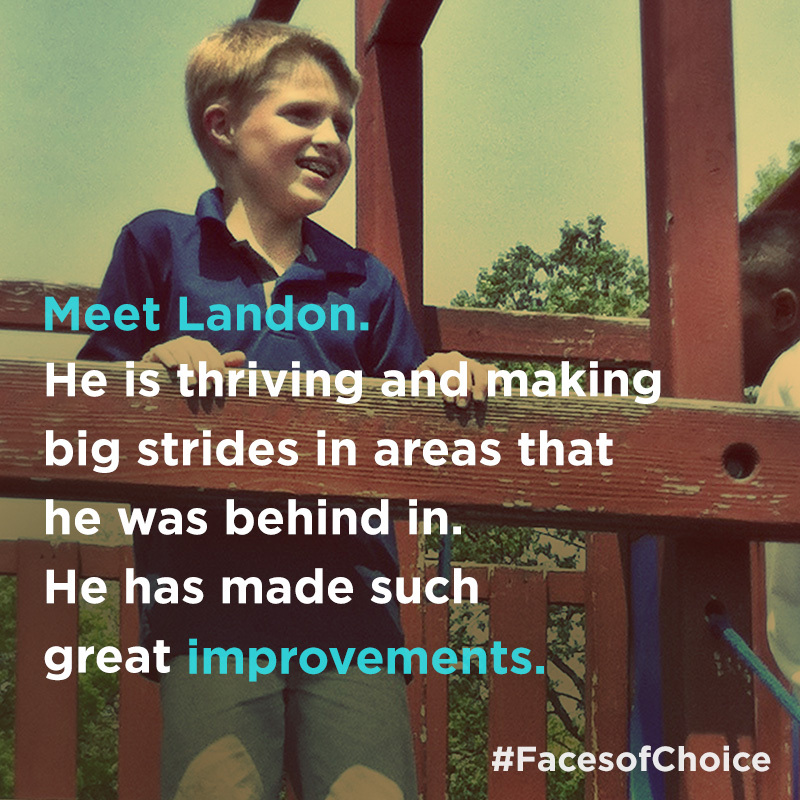 Kyla enrolled Landon and her younger son, Nolan, in Renaissance through the Racine Parental Choice Program. Ask Landon, and he says he has a ton of them. His favorite class is Math, but he also likes the “Daily 5,” when he writes, does word work, reads in pairs and does some desk work. Landon’s younger brother Nolan, a first-grader, also has found a safe place at Renaissance. Like Landon, he is fond of Math and writing.